Let’s start this Rehab 101 series by moving from the center out. 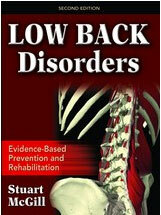 We’ll visit the works of Professor Stuart McGill who many consider to be the foremost authority in the world on low back pain and rehab. Beginning about 20 years ago, Dr. McGill, a professor of spine biomechanics at the University of Waterloo outside of Toronto, began to work on a computer model that used electromyography input to predict forces on the spine. They honed their program, and then spent about 10 years developing the model until it was considered a valid and reliable method of measuring the forces of certain movements and activities on the spine. The past several years have probably been fun for Stu! In those years, he’s had a variety of interesting populations into his lab, performing the activities they were excellent at while he measured the forces on the spine. The result of evaluating these football players, martial artists, strongman competitors and other high level athletes has been rewarding. Now, rather than offering our patients and clients “workaround” solutions for their spine problems, we can offer them a “software upgrade” with movements learned from the highest functioning athletes on the planet. 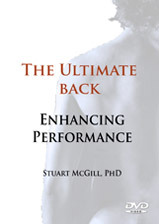 Dr. McGill wrote a synopsis of his approach a few years ago that is a great way to introduce yourself to his work. Here is a link to that 12 page article. Here are several of Dr. McGill’s books and DVDs. MyRehabExercise.com features several exercises that have been associated with Dr. McGill. 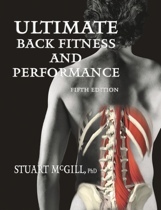 The primary ones are the spine stabilization exercises that are commonly referred to as McGill’s Big 3. These are the Bird Dog, Side Bridge and the Ab Raise. To review these exercises, make sure you’re logged on to your account at MyRehabExercise.com, and click on the images below.